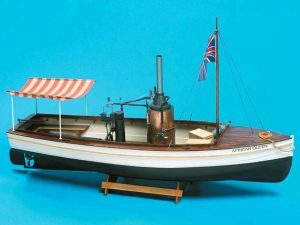 Lynx 745 Baltimore Schooner Scale 1:62 Length 860mm. 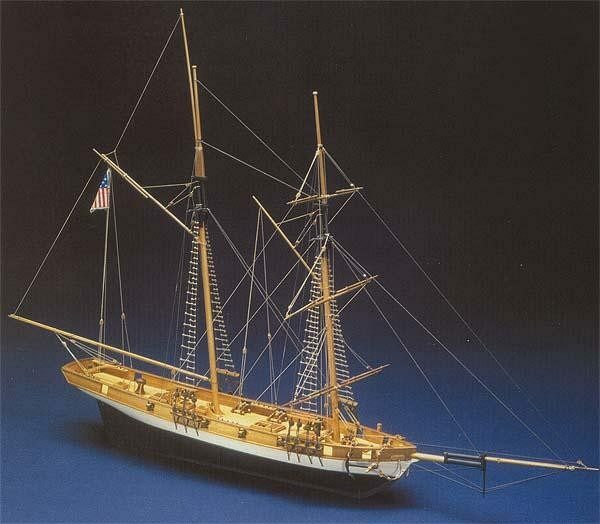 This is a typical American schooner, the Lynx was launched from the Baltimore dockyards in the early 19th. century. 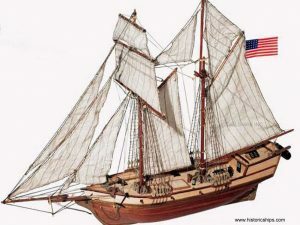 She took part in the Great Lakes Battle in 1812 and was captured by Sir John Warrens squadron at Rappahnnock river on 13th. 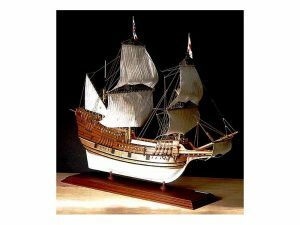 April 1813. 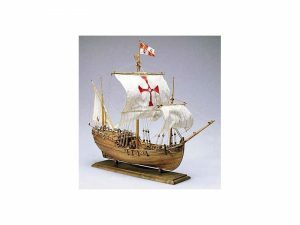 A plank on frame construction, the kit contains:- Building plans with general details, English instructions, walnut or lime planking, wooden masts and spars, brass and walnut fittings and rigging cord. All sheet ply sections are laser cut for accuracy.